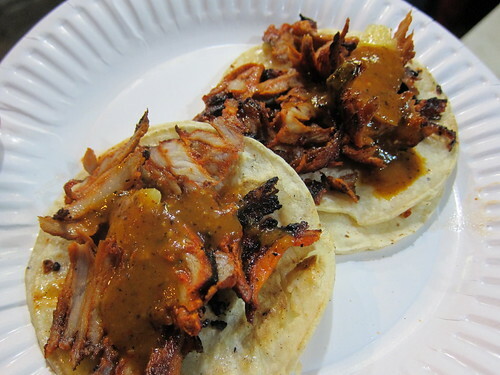 This list includes tacos that were reviewed on this blog in 2010. 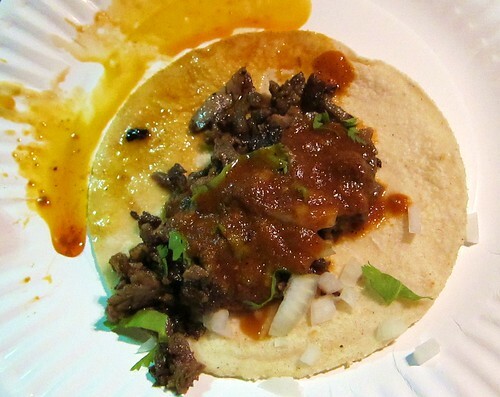 It was tough to narrow the list down to just 10 tacos; I had a lot of great tacos this year. I hope everyone has a good new year and keep sending in those taco tips. 7. 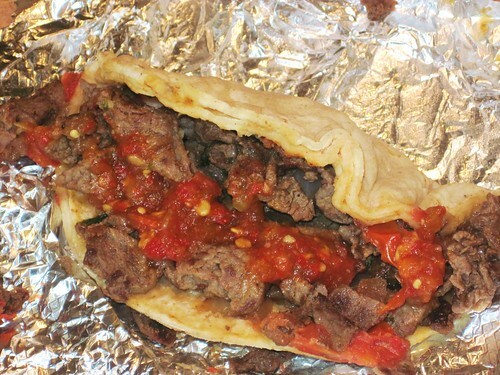 Taqueria Sanchez - lomo(beef loin) taco w/ onion, tomato, and jalapeno salsa. 3. 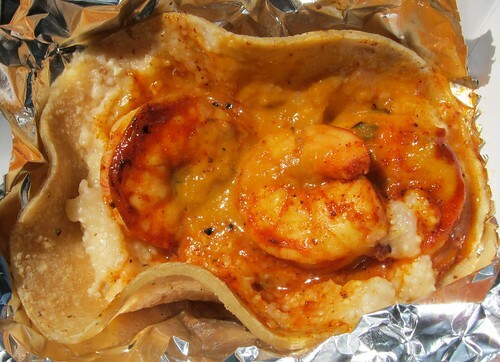 Knockout Taco Truck - blackened shrimp taco w/ bacon & cheese grits, cajun salsa. 2. 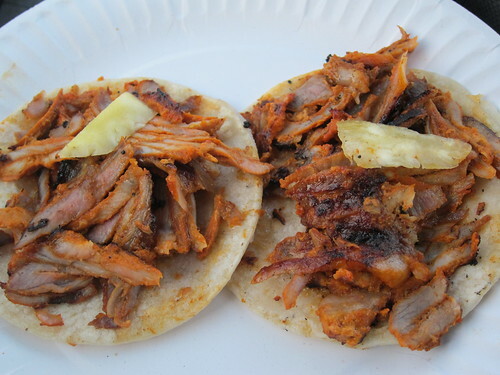 Tacos Leo - al pastor w/ pineapple that is carved to order by skilled taquero. I don't know who you are or what you do, but you are my hero. And here I thought Leo's was the end all, be all. Heading to Pico & WestMore tonight (and if they're not there tonight (NYD), then tomorrow, until my mission is complete. 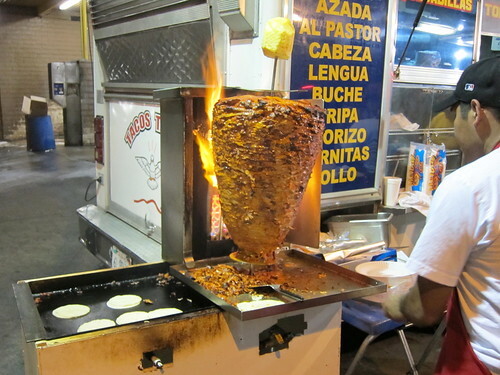 I am looking forward to trying Al Pastor with Pineapple. 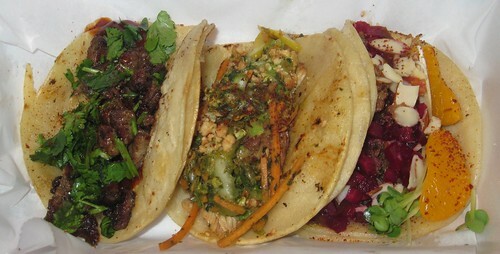 I believe Norma's Tacos in Pasadena is a new challenger that deserves a serious look. This is the greatest blog post in the history of words. Bandini, to the extent possible, could you specify in your reviews what times these trucks are in the locations you mention? Also, what's the final word regarding the legality of trompos? Do the spits just have to be manufactured according to commercial specifications, or what? yeah..i'll add that to the reviews. 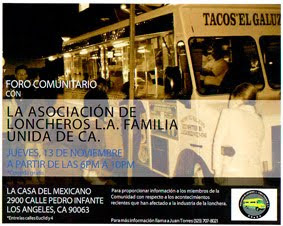 For the most part taco trucks open up when the sun goes down. A lot don't have a set time. I'm sure trompos are regulated under the same rules as rotisseries. 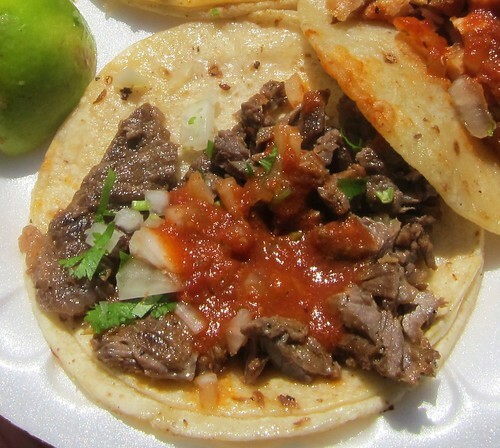 When the trompo is outside the truck then its technically "illegal". Though this is enforced pretty arbitrarily. These all look uh-mazing. 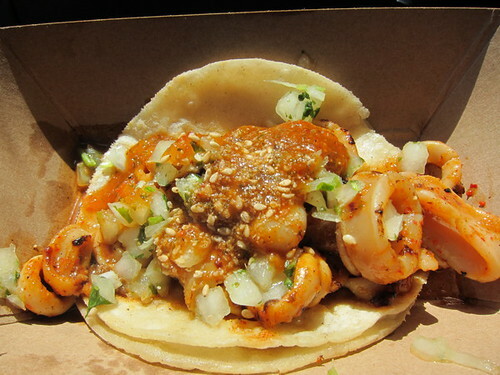 But the more I read your blog, the more I wish we had taco trucks in Dallas and it makes me shed taco shaped tears. I love sabroso's in the valley, corbin and van owen, everything on the menu is excellent. Omg is all I have to say. 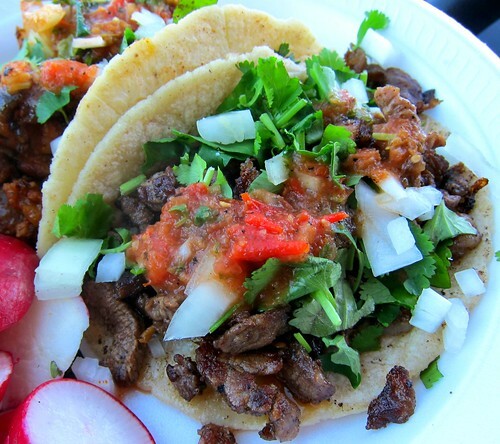 I am a taco fanatic. 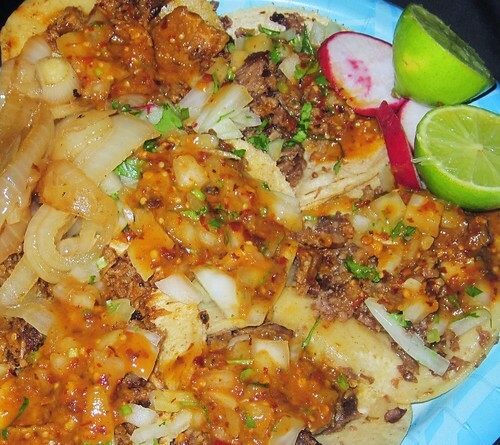 I am a taco fiend.